Often thought of as an old, industrial city, Cleveland is getting its' groove on. Cool new hotels have opened, the restaurant scene is booming, dormant neighborhoods have come back to life, and a bunch of airlines are adding new, affordable routes to town. The city is right on Lake Erie and the Cuyahoga River. All this makes for an incredibly, enjoyable stay. Plus, the locals are some of the friendliest people you'll ever meet! 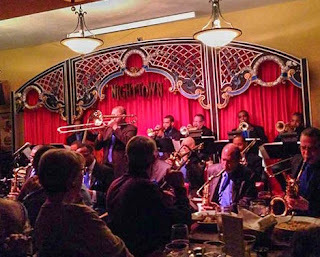 Hear everything from great rock and jazz in music clubs around town to the world-renowned symphony orchestra; in addition, there's marvelous theater. Rock & Roll Hall of Fame (1100 East 9th St.; www.rockhall.com) - Why is this museum here? Cleveland's famed radio disc jockey, Alan Freed, is credited with inventing the term, "Rock and Roll." Music fans prepare to have your mind blown by the extraordinary collection of rock music memorabilia. There are also concerts and special events. Plan to spend several hours here, if not the whole day (there's a cafe, so you can stop and recharge)! Nighttown Jazz Club (12387 Cedar Rd; www.nighttowncleveland.com) - Between the delicious food and the top-notch musicians, Nighttown is a not-to-be-missed entertainment experience. Hear greats such as the Count Basie Orchestra, John Legend, Wynton Marsalis, Stevie Wonder or fab local musicians on the rise. Cleveland Orchestra (www.clevelandorchestra.com) - Delight in their classical repertoire, plus collaborations with pop and jazz singers, and other creative programming. Playhouse Square (www.playhousesquare.org) - Enjoy some great entertainment in the second-largest theater district in the country (10 stages within beautifully-renovated historic buildings). See touring Broadway shows, concerts, comedy, opera, dance, and children’s fare. 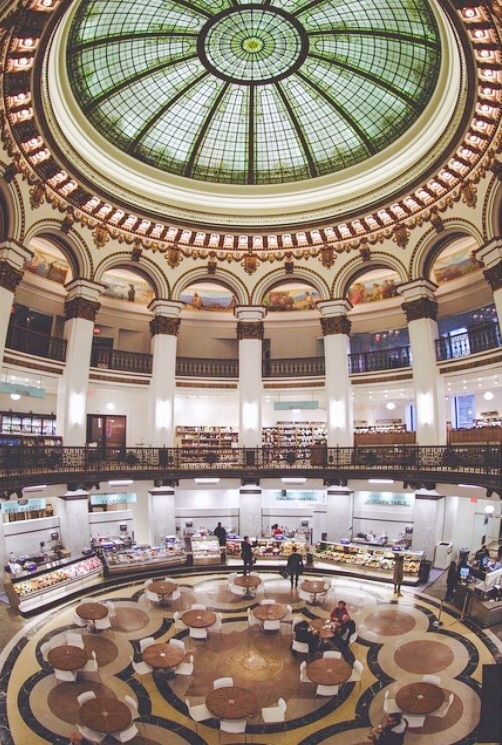 Cleveland's University Circle neighborhood is a treasure trove of more than 20 cultural venues including: the Museum of Contemporary Art, Cleveland Museum of Natural History, Cleveland Botanical Garden, Cleveland Institute of Music, and Severance Hall (where the Cleveland Orchestra plays). All are worth a visit, but be sure to go to the Cleveland Museum of Art (www.clevelandart.org) - a lovely art collection in a stunning building. Have lunch is the atrium cafe. Admission is free! 78th Street Studios (1300 W. 78th St.; 78thStreetstudios.com) - Located in a sprawling, funky, former warehouse in the Gordon Square Arts District, 78th Street Studios has a cool collection of galleries and artists' studios. On THIRD FRIDAYS, there's a lively Open House. 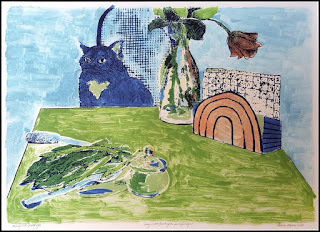 Check out: HEDGE Gallery, Sandy Miller Pottery, Tregoning & Co. And, local artist Gloria Plevin. FRONT (FRONTArt.org) - In 2018, art impresario Fred Bidwell will put Cleveland--and the state of Ohio--on the "art map" with the launch of FRONT International, an exciting, contemporary art triennial. A handful of top-notch, local chefs started the current, hot restaurant scene. 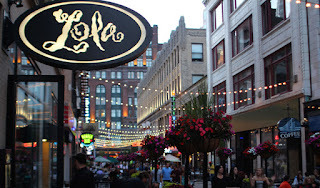 Locals love Lola Bistro (www.lolabistro.com) by Iron Chef and James Beard Award-winner Michael Symon. Clevelanders flock to The Greenhouse Tavern (www.thegreenhousetavern.com) one of James Beard Award-winner Jonathon Sawyer's eateries. And, one of the latest dining spots by chef/restaurateur Zack Bruell is in the Flats East Bank entertainment district, Alley Cat Oyster Bar (www.alleycatoysterbar.com) - the cuisine is surf & turf with great views of the Cuyahoga River and super-friendly waiters. But, you can have a great meal at almost any spot in town such as Zaytoon (1150 Huron Rd; www.zaytoonlebanesekitchen.com) serving the most delicious Lebanese specialties or even at the salad bar in Heinen's Downtown Grocery Store (900 Euclid Ave; http://bit.ly/2zyVoe1). 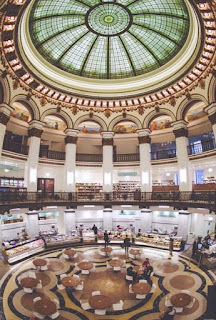 The building, the former 1908 Cleveland Trust bank, is amazing as is the Garfield Building, former National City Bank, that now houses the swanky, new Marble Room Steak & Raw Bar (623 Euclid Ave; www.marbleroomcle.com). 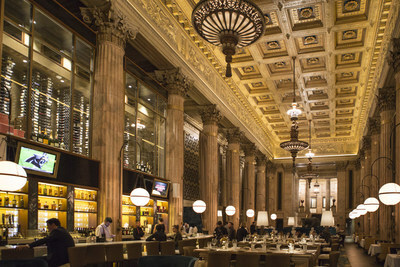 To discover even more groovy places to dine, request a handy-dandy Cleveland Dining Guide or view it online. West Side Market (1979 West 25th St.; www.westsidemarket.org) - Built in 1912, you usually only see great, indoor markets like this in European cities, with 100+ booths selling fresh produce, meats, baked goods, and ethnic delicacies, it's a mouth-watering adventure. And, lots of cute little eateries have opened up in the neighborhood, so do some culinary exploring. Have a Brewski - There are more than 30 breweries in the greater Cleveland area. Head out on your own craft-beer experience or hop on the Cleveland Brew Bus. Terminal Tower - Observation Deck (Open: April-Nov; Sat & Sun, 12-4pm. 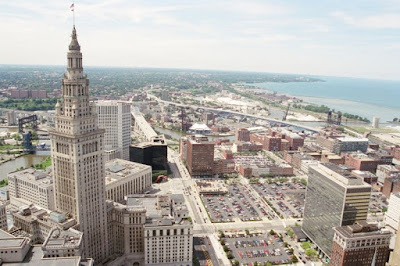 Tks: $5; http://bit.ly/2zPv53T) - Start your visit to Cleveland with a panoramic view of the city, lakefront, etc. from the Tower's 42nd floor. Then, head out to explore below! There's a lively scene on East 4th Street (www.east4thstreet.com) with a plethora of shops, bars and restaurants. The Flats East Bank (www.flatseastbank.com) district on the Cuyahoga River has become a dining and entertainment mecca. Beyond the Downtown area, there's lots of artsy and cool things going on in various neighborhoods. Check out Shaker Square (www.visitshakersquare.com), Collinwood (www.welcometocollinwood.com), and Little Italy (clevelandlittleitaly.com) with all its' Italian eateries. 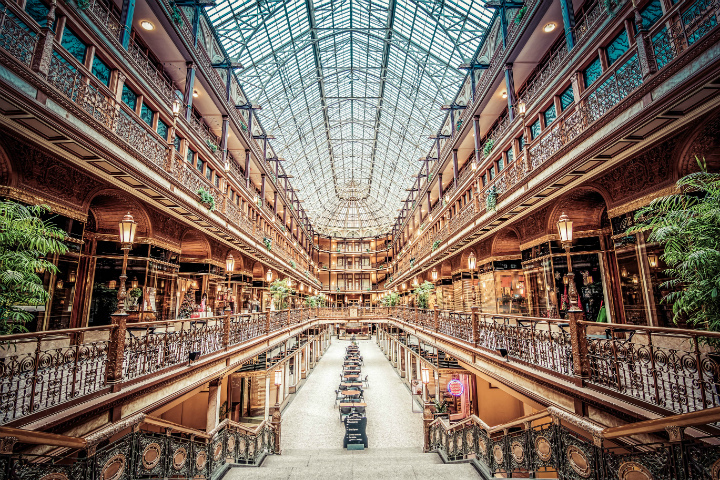 There's so much to discover in Cleveland that these suggestions just scratch the surface! 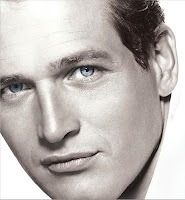 actors/comedians - Paul Newman, Halle Berry, Terrance Howard, Bob Hope, Drew Carey; athletes - too many Hall of Famers to name; musicians - Joe Walsh, Tracy Chapman, Henry Mancini, Kid Cudi & may other rappers; writers - Langston Hughes, Toni Morrison; and millionaire John D. Rockefeller. Making Your Trip Easier: CLE App - Download this essential visitor's tool for iPhones & Android. Drury Plaza Hotel Cleveland Downtown in the former Beaux Arts-style Board of Education building. Kimpton Schofield Hotel in the former Euclid Ninth Tower designed by architect Levi Schofield in 1902. 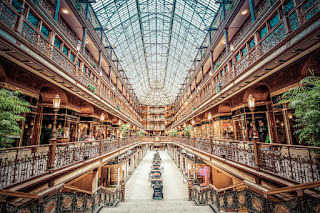 Hyatt Regency Cleveland at The Arcade, the first indoor shopping center in America opened in 1890. 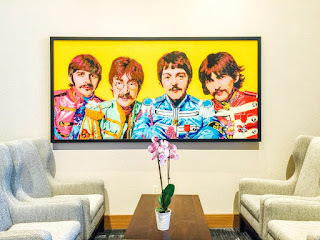 For something thoroughly modern, try the Hilton Cleveland Downtown (100 Lakeside Ave. East; http://bit.ly/1t6vbNg) - it's a convention hotel but with lots of charm: stunning local artwork, a very helpful staff, a nice pool, great views, and lots of dining options. Or, go local through Airbnb, rent a place to stay from a local poet in Shaker Square or from famed chef Michael Symon in the Tremont neighborhood. 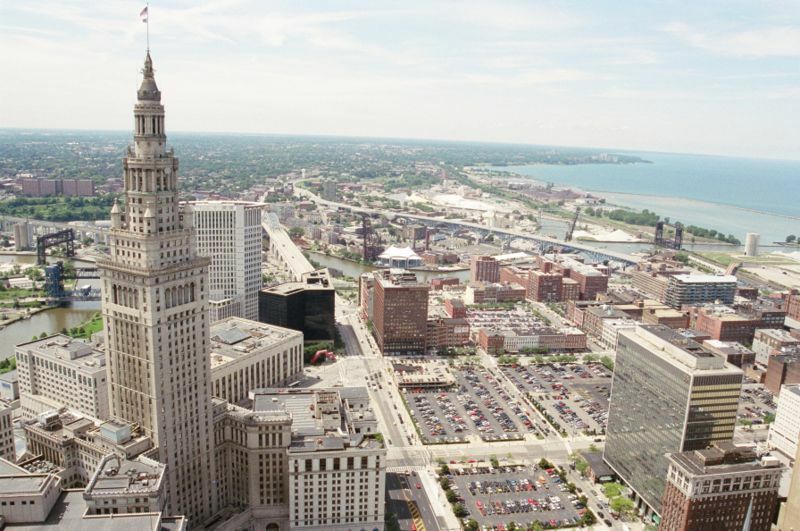 Major carriers such as American, Delta, and United all have non-stop flights to Cleveland. Icelandair flies to Cleveland from 20 European cities, connecting through Reykjavik, Iceland. So, you have no excuse to stay home; head to CLE today!